Tammy365: Get Cash Rebates for Shopping! Get Cash Rebates for Shopping! Ibotta is real. You earn cash rebates on grocery items, movie theaters, baby items, restaurants, Best Buy, Home Depot, Lowe's, GNC, Petco and PetSmart. Do you shop at these stores? 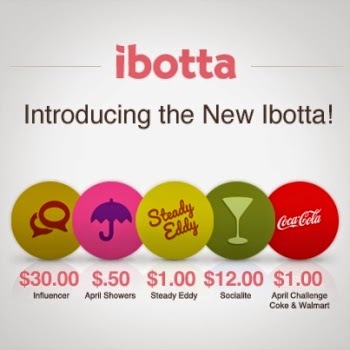 Ibotta is a fun and exciting way to earn cash every time you shop – plus it’s free! It works in over 80 retailers nationwide, and Ibotta users have already earned over 5 million dollars. If you sign up today, there are special rebates waiting for you. Click here to register.